COMPANY : W. HASEKAMP & Co "AFRICAN"
W. HASEKAMP & Co., gin distiller based in Schiedam, Holland, established a lucrative export market for his product in West Africa. 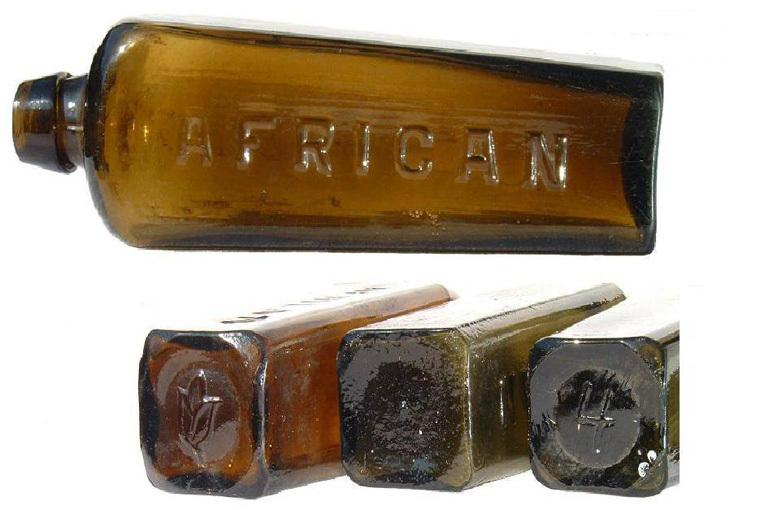 The brand "AFRICAN" was embossed on the glass bottles in a number of formats, as displayed on this page and the following page. Additional embossing appeared on the base of some of these bottles, with 3 examples shown in the above pictures.